Office supplies company Neveast Supplies Limited acquired property on Skibo Avenue in Kingston for north of US$300,000 to expand its warehouse space. It comes as the company considers further growth options, to be backed by fresh capital, either in the form of debt or equity. It's understood that Neveast plans to float shares on the junior market of the Jamaica Stock Exchange, but managing director and shareholder Paul East is refusing to confirm the plan. "We have both options available to us," East said. "We can utilise debt, and everyone knows that the junior stock exchange is a viable option based on our asset value. We could certainly tap into the junior stock exchange," he added. If Neveast chooses the stock market, it would become the second office equipment supplier to take the plunge this year, behind Stationery & Office Supplies Limited, which is majority owned and operated by the McDaniel family. Neveast acquired the lands adjoining its operating base in a transaction completed in the first quarter of this year. The company plans to build a two-storey facility on the new 1,500 square feet property, which will serve to double its capacity. "We will be expanding later this year. So we own the property and will expand into it and increase our warehousing space," East said. The expansion seeks to keep pace of the growing demand for office equipment and supplies fuelled by local business as well as foreign investors. "Growth in the industry is attributed to foreign direct investment in business process outsourcing and the hotel sector," East said. Neveast describes itself as a leader in office furniture and supplies offering its own and distributed lines of furniture and stationery. 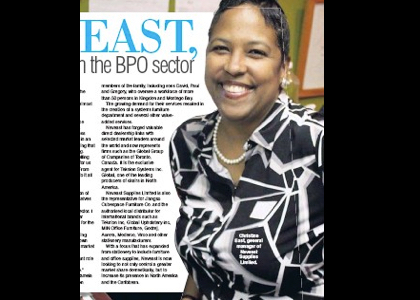 Competition in the sector is high, but Neveast estimates it controls as much as 70 per cent of the BPO sector. 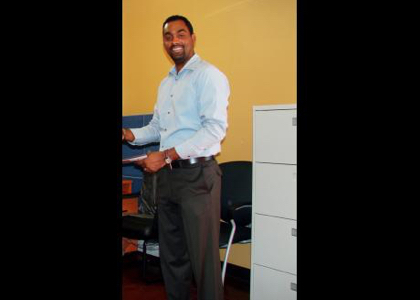 "Jampro says there are 25,000 persons employed in call centres. I know we have provided thousands of those seats. We have provided the most seats for the industry by far," East said, while noting that his company understands that BPO operators want a 'one-stop shop' for their office supplies. Smaller players are entering the space as the barriers market entry are low, but those players are limited by their inability to scale and offer value added services, he said. East recalled that back in the 90s during a previous growth spurt in the office supplies sector that many smaller players folded for similar reasons. 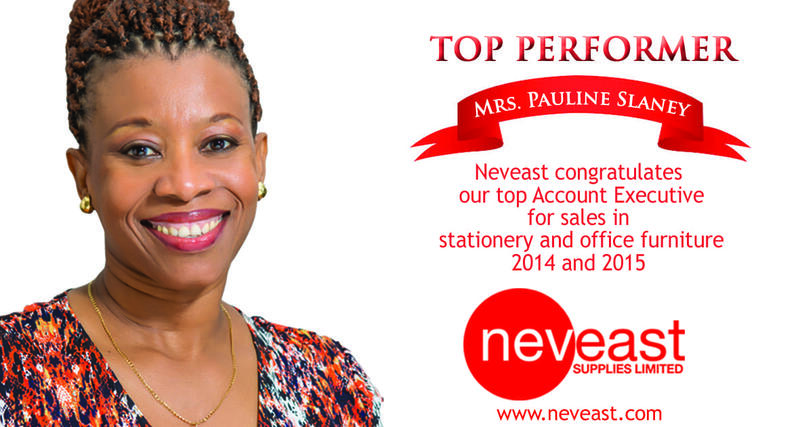 Neveast celebrated its 55th anniversary as a company established in the year of independent Jamaica. The company founded by Neville East is now run by second generation members of the family, including sons David, Paul and Gregory, who oversee a workforce of 40 in Kingston and Montego Bay. 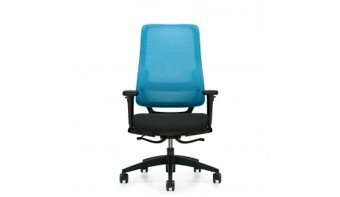 Neveast is the authorised local distributor for international brands such as Teknion Inc, Global Upholstery Inc, MIN Office Furniture, Godrej, Aurora, Moderco, Virco and other stationery manufacturers. Over its five decades years in business, the company expanded its focus from stationery to include furniture and office supplies. It distributes in Jamaica and the region. "We have other plans afoot that I really cannot discuss," said Paul. "Those plans will continue our expansion drive," he said. Neveast Supplies Limited is 55 too!